Max and Calvin check out the cable car. Our first day in California, Max burst out singing Tupac Shakur’s California Love. “California, California…” (Disclaimer… he doesn’t know all the words.) People smiled at him on the street. He was expressing all of our excitement to be in the sunshine state of the wild wild west. We traveled to California two weeks ago for a family wedding in Petaluma, north of San Francisco. We also spent a day in the city. 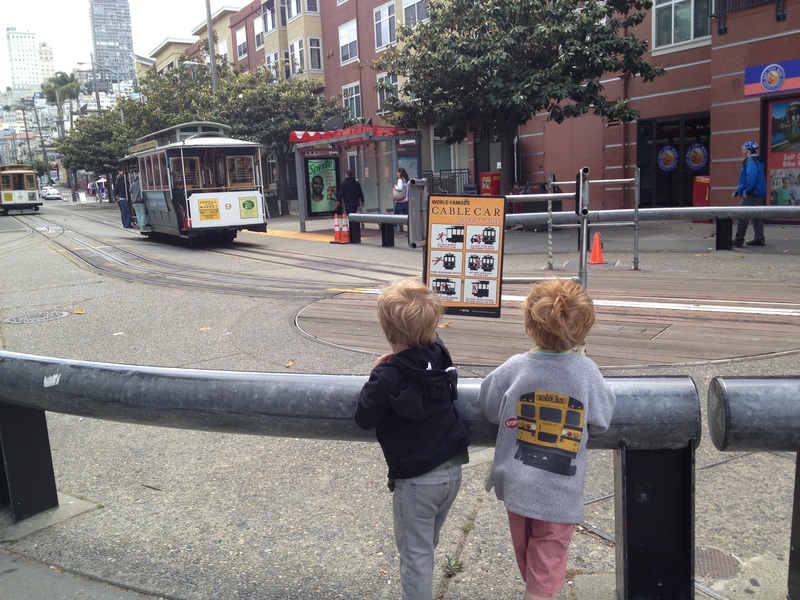 Thanks to author Virginia Lee Burton, the boys were excited to ride the cable car. I’ve always loved Burton’s classics The Little House and Mike Mulligan and His Steam Shovel. I’ve enjoyed discovering her other books with Max and Calvin. 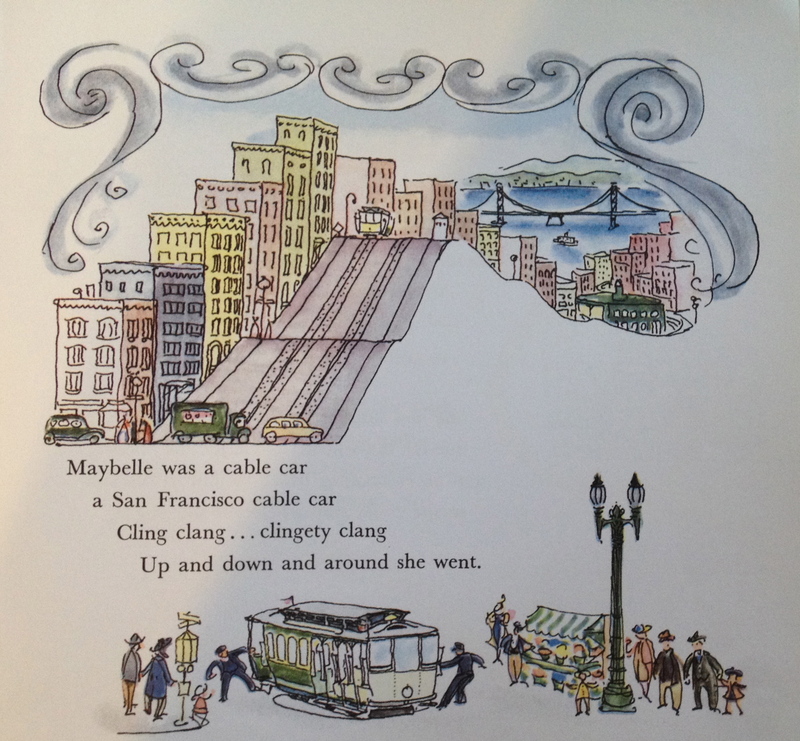 Her detailed illustrations appeal to the boys, especially Calvin who loves her drawings of traffic and transportation in Katy and the Big Snow and Maybelle the Cable Car. Up and down Maybelle went. Maybelle is a San Francisco cable car. She and her sisters have served the city for many years. With the advent of buses and cars, the city fathers are considering retiring the cable car. Even Calvin, who is a bus fiend, feels for Maybelle. Fortunately, the good citizens of Tupac’s home state vote to keep Maybelle so they can get up their steep hills. “I like it when they vote yes,” says Max. 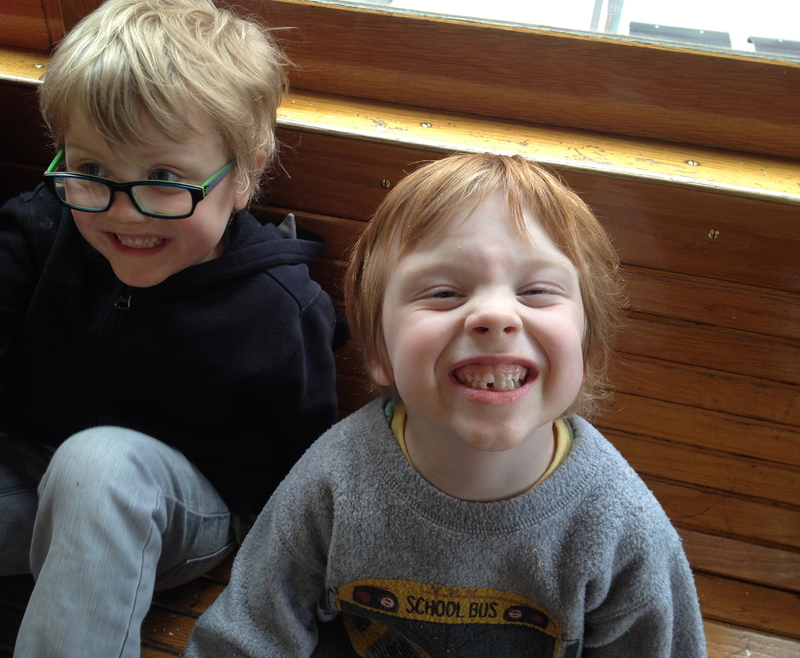 Smiles all around on the cable car. Burton’s books span the 30s to the early 60s. You can find her books at most bookstores and libraries. Here’s a link to her books on Powell’s. Not only did Burton write children’s books, she was a textile designer, painter, and sculptor. There’s a movie about her life: Virginia Lee Burton: A Sense of Place. You can find more on this site about this talented woman’s life.